On 27th May, 2013, around fifty people camped on Gezi Park, near Istambul Taksim Square, in order to avoid its trees being torn down on the basis of an urbanistic development project widely rejected. 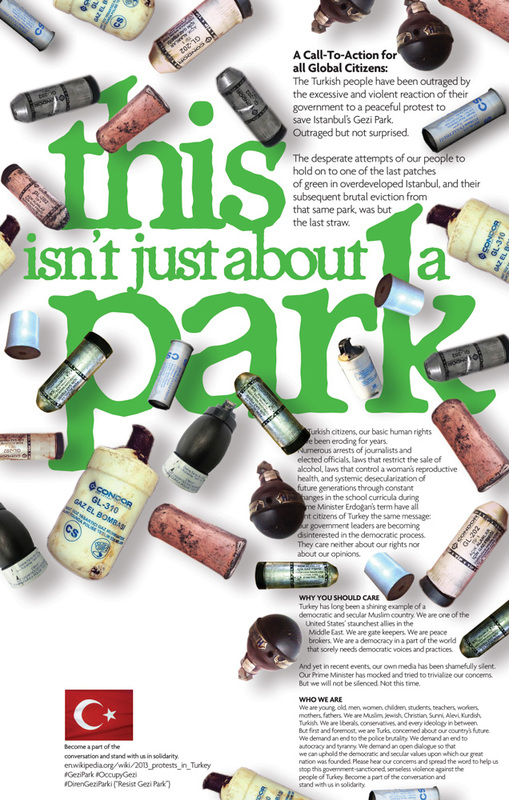 They did not only cared about the Park (This isn’t just about a Park), but also about a city, a society and political model gone wrong. The violent eviction of those early activists (whose camping tents were burned), spread through social networks and protests increased: More and more people arrived at Gezi Park. On May 31th, police clashed with citizens in a really harsh way, using gases and water directly on their bodies. Media indifference and Erdogan’s authoritarianism, did the rest. 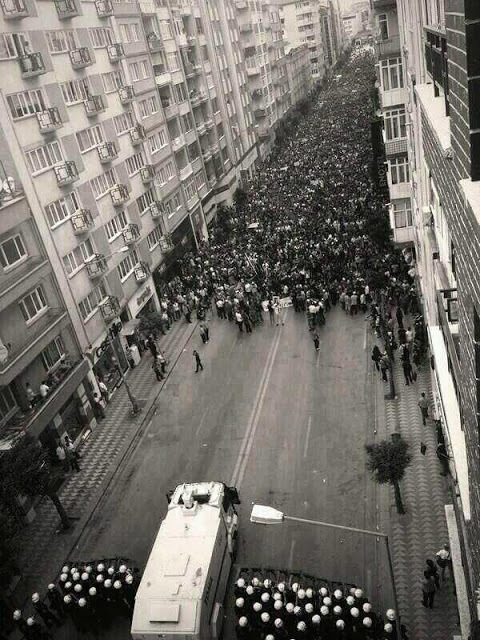 As a result, on 1st of June, turkish people took the streets.